I was in a mood to try a double embossing through a stencil... It's hard to see, but in real life you can also feel the height of the stars. What a beautiful quote, and the effect with the double-embossed stars is striking. Nice way to use the wide web ribbon, too. Pretty! Beautiful card! I love that sentiment! 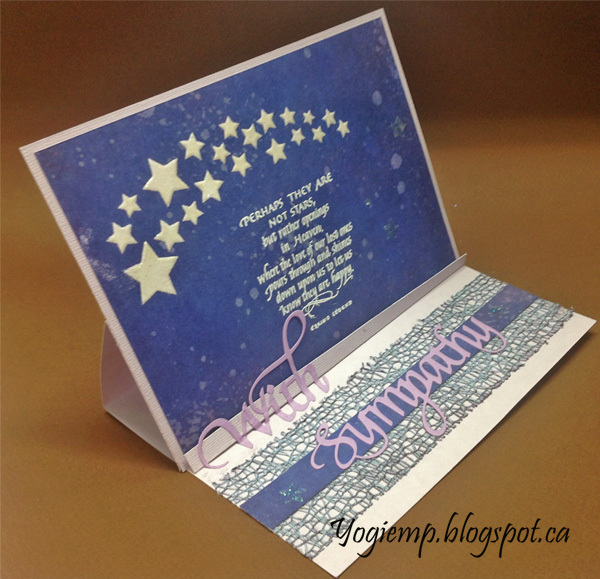 Your double embossing looks amazing! Thanks for playing along with us at Scrapy Land Challenges! What a lovely sentiment. Thank you for sharing with us at Allsorts and good luck in the challenge. 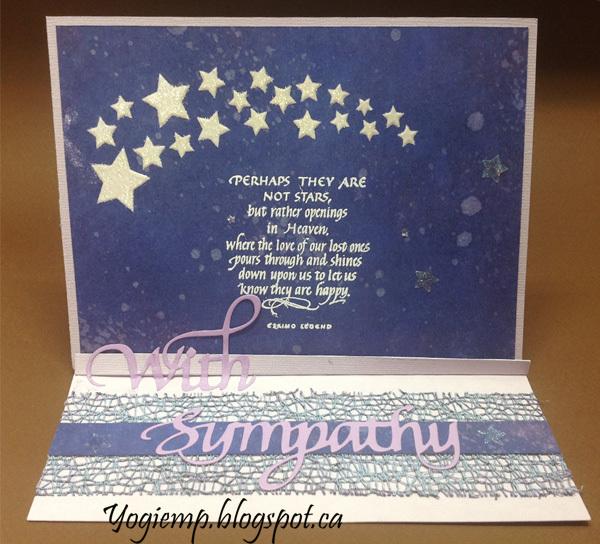 A lovely sympathy card! Thanks for joining us at Make My Monday. Lots of things that begin with S in your card. I'm so glad to have found you through City Crafter Challenge. Great shape and fabulous design. Thanks for joining in at City Crafter.